After fighting a bruising battle for years in the retail electronics ring, Amazon and Best Buy have decided to shake hands and team up. 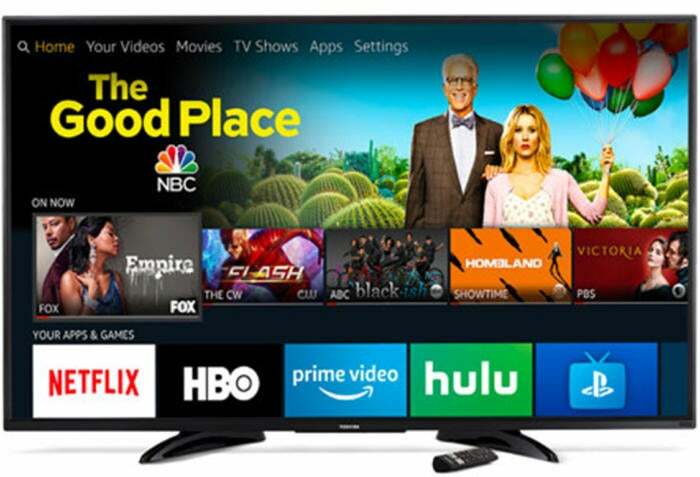 Starting this summer, Best Buy will begin selling Amazon’s Fire TV Edition smart TVs, which debuted last year inside 43-, 50-, 55-, and 65-inch sets produced by Element. 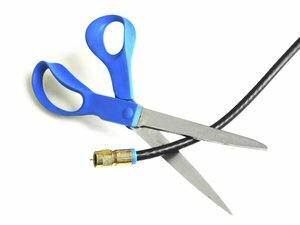 Why this matters: Amazon and Best Buy may be only agreeing to sell Fire TV sets here, but this has the potential to be an industry-changing partnership. With a third-party store on Amazon, Best Buy is offering something of an olive branch to Amazon without ceding too much ground to one of its biggest competitors. Of course, the two retail giants will still be competitors, but Best Buy has found a way to make nice without completely sacrificing its brand identity. In fact, a presence on Amazon.com might actually bolster the company’s reputation while giving Amazon a strong retail partner and a way to show off its new TV sets to customers who are leery about buying big-ticket items sight unseen. If it works, we could see the exclusive partnership expand to other Amazon products, while also opening the door to Best Buy carving out a new way to reach online customers. This time around, the new TV sets will be made by Toshiba and Insignia, but promise to bring the same Fire TV experience inside, emulating the interface and navigation you get with Amazon’s boxes and dongles. And of course, they come equipped with Alexa for voice control and search. Amazon says the new Toshiba sets will be available this summer, with Insignia models to follow later in the year. Sets will be available for purchaser at Best Buy stores and on bestbuy.com, but they won’t be sold by Amazon directly. Instead, as part of the partnership, Best Buy will become a third-party seller on Amazon.com, joining the burgeoning Amazon marketplace. While Amazon’s Echo and Fire products are prominently featured in Best Buy stores, it’s the first time Amazon and Best Buy have partnered together in such a direct way. Selling Fire TV products through Best Buy on Amazon's site is a way to reach customers who might not venture outside the Amazon ecosystem. Amazon’s first round of Fire TV sets are currently sold out on Amazon.com. Amazon hasn’t announced whether the new sets will include any features that weren’t available on the original model. For example, the Element sets didn’t include a built-in microphone, so the remote button needed to be help when using Alexa. Pricing or sizing hasn’t been announced for the new sets, but presumably they will follow the same aggressive strategy Amazon started with its first round of Fire TV sets. Ranging in price from $449 to $900, the sets delivered 4K picture quality with a familiar interface for streaming shows from Netflix, HBO, Hulu, and other services. And with 16GB of internal storage, you could pause and rewind live TV without using a DVR box.